Join our Liberty Camp for Kids team of Volunteers! You are invited to be part of an organizational meeting for anyone who would like to help with the Liberty Camp for Kids, the Fair Tent, or the Parade Float this year. 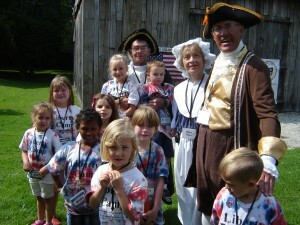 The Liberty Camp for Kids and the Little Patriot Village program are designed to teach children about the Founding of America, the US Constitution, and the things that make the United States the greatest nation in world history! 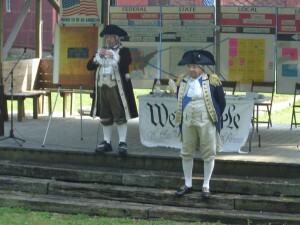 The Fair Tent and Parade Float are intended to inform adults about Liberty Camp and to educate them about US History and our form of self-governance. The meeting will be at Maplewood Career Center, 7075 State Route 88, Ravenna, OH 44266 starting at 7:30 PM on Tuesday, February 2nd in Conference Room A. Former Teachers, Actors, Designers, Planners, Marketers, Advertisers, Educators, Crafters, and Historical Reenactors. Anyone who is passionate about American History, who loves to teach kids, who loves America, and who is looking to get involved in one of the most rewarding experiences of their lives! We will be planning the dates of the 2016 Liberty Camp, we will be developing a committee for re-designing the Fair Tent, we will be developing a committee for designing the Parade Float, and generally discussing plans for this year’s activities. Please come and contribute your ideas and energy to help us reach out to the children and citizens of Portage County, and NE Ohio, with our message of Liberty and Freedom and Prosperity for all! Call Anne Kaczmarek at 440-227-1210 for more Information!